Before Rajyvardhan Singh Rathore brought home India's first ever shooting medal in the Olympics, there was Anjali Bhagwat. 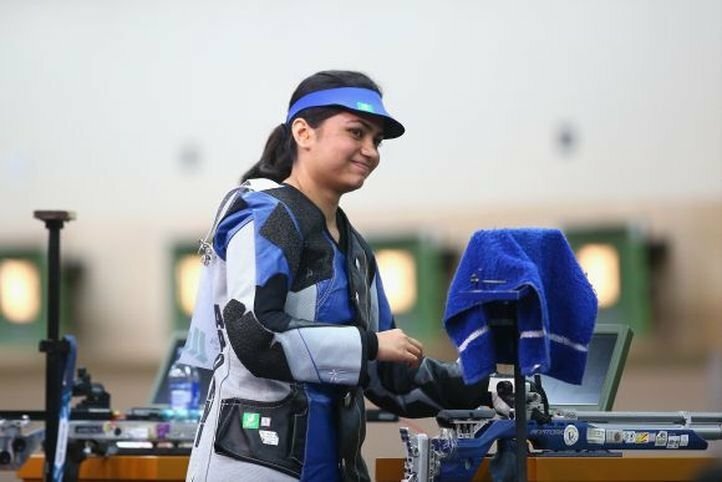 The Mumbai-born shooter had made headlines when she qualified for the finals of the 10m air rifle event in Sydney -- arguably, a watershed moment in the recent rich history of Indian shooting. Anjali, who won four gold medals in the 2006 Commonwealth Games in Melbourne, represented India in three Olympics -- Sydney, Athens and Beijing -- and this time around she is hoping put her rich pedigree into use, as she is part of the Star Sports experts panel analyzing India's Rio 2016 exploits. Speaking to ScoopWhoop in an exclusive chat, the decorated shooter shares her thoughts on what to expect from India's shooting contingent at Rio 2016. Q: The expectations from the shooters are very high. What do you think are India's chances overall? 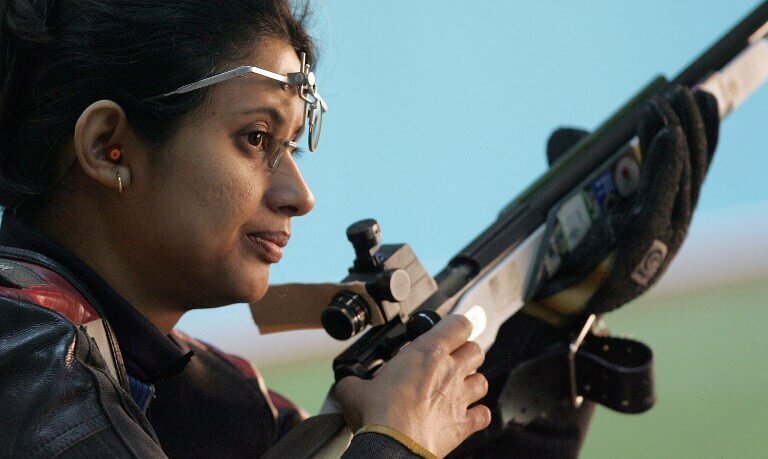 Anjali: India has a bright chance of winning multiple medals in shooting again, with 12 shooters having qualified. What stands out is the fact that they have secured their quotas through Asian qualifiers which is a very high level competition. With China, Korea and some countries from the Russian region involved, they have already competed with the top level shooters to get to the Olympics. 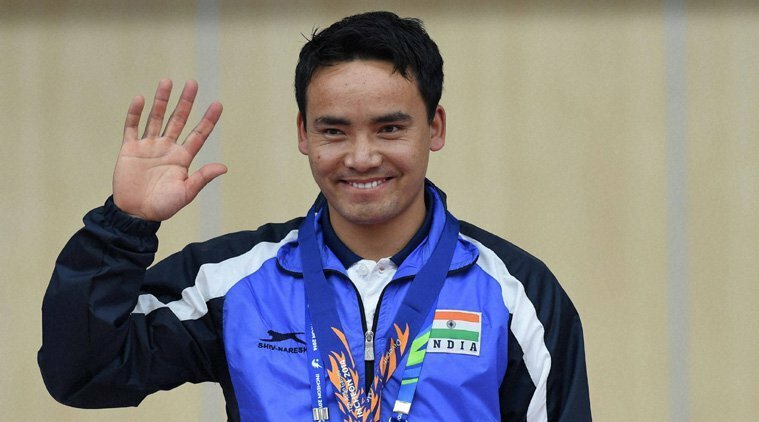 Jitu Rai for example, has come through the World Championship, which in many ways is a tougher event than Olympics. Q: How have things changed over the past few years for Indian shooters? Anjali: That is one of the reasons why I am extra confident this time. I have followed their preparations over the last two-three years -- it has been thoroughly professional. Especially compared to the time I participated in Olympics, because we were not aware of the complete package -- the best place to find the equipment, training facilities, nutrition etc. But the current crop are. They understand all this, they are very aware about how to assess ammunition. They are also being facilitated by organisations like OGQ (Olympic Gold Quest). Their preparation has been very thorough. Q: The 10m air rifle event is where you made the headlines when you qualified for the finals in 2000. Apurvi Chandela and Ayonika Paul will make their debut in that event. Take us through what it must be like to participate in the first medal event of the games. Anjali: All events are tough, but the 10m air rifle is special because it is the first event where you get a medal for the country. The pressure is a little bit more knowing that the whole world is watching you. The nation is watching you, with hopes of seeing their first medal. It takes courage to deal with that additional pressure and that will be the biggest challenge for Apurvi and Ayonika. Q: Both Apurvi and Ayonika are not ranked very high in the world now. Is expecting a medal from them a bit far-fetched? How do you assess their form. Anjali: Apurvi's form has been a bit of a worry lately, but Ayonika is peaking at the right time. See, both Apurvi and Ayonika are very young, very talented, and have age on their side. This Olympics will be a huge learning experience for them and they have plenty of time ahead of them. A medal in Rio will be a big bonus, but they should treat this as a nothing-to-lose situation. But I would not read too much into their rankings. Since London 2012, a lot of changes in rules have been implemented in point scoring, ranking etc. If you follow the rankings very closely, the fluctuations are very unpredictable. There is very little to choose from these shooters and it will all come down to how focussed they are on the day of the event. One of the rule changes mean the qualification scores don't carry in to the final, so if they get into the final, it is just a matter getting the final three shots right. Q: So Jitu Rai. Almost every one seems to think he's India's best medal hope. But this is is Olympics debut as well. What is your take on his chances? Anjali: Jitu is a superhuman! That's what we call him. The consistency he has shown at the top level is phenomenal. The appetite he has and the way carries himself is unique. As a shooter myself, and even my peers, I used to think every now and thenof winning a medal, making the nation proud, being popular. But for Jitu, a Nepali who was groomed and supported by India when he made the move, he sees it a duty to perform for the country. Doesn't matter what happens, he sees it as his duty to stand up on the podium. You won't see him too excited, because he thinks, 'yeh toh mujhe karna hi tha'. He sees it as a responsibility. Q: But it is worth remembering this is Jitu's Olympic debut as well. Are the expectations placed on him too high? Anjali: He has already won medals at World Championship. Olympics has only shooters from country per event, while the World Championships can have three shooters from the same country. The field is much more stronger there and he has delivered. The attention is more in Olympics, but Jitu has already been there and done that, so he should be able to handle the expectations just fine. Q: You have said in the past that you would not like to predict India's medal returns. But a ball-park figure, how many medals do you expect from these 12 shooters? Anjali: I am hoping for three to four. But like I said, there are a lot of variables. It will all come down to who is mentally the fittest on the day. At the Olympics, there is very little to choose between shooters in terms of technique, caliber and physical fitness. All the top competitors are at par, almost. The biggest differential will be mental fitness. Only those who handle the pressure well and can command their minds, will make their talent count.